Fabulous 4 bedroom updated ranch on wonderful street, prime location, move in ready almost 2200 ft.² Ranch home with beautiful updates and tons of natural light. Conveniently located just a hop skip and a jump from Telegraph and all the nearby amenities on almost 1.3 acres of land. 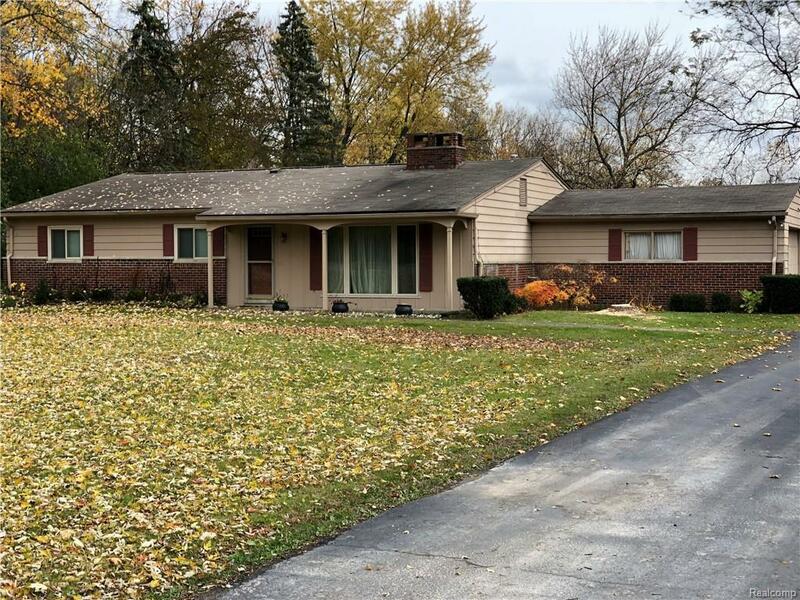 This sprawling ranch offers tons of entertainment space, Bloomfield Hills schools (Conant Elementary, Bloomfield Hills Middle School and Bloomfield Hills High School), and beautiful yard. Additional offerings Include: freshly painted, new electrical, an unbelievable lot, two fireplaces, new lighting, long galley style kitchen, light and bright bedrooms and fabulous bones. Home is in an unbelievable location; with just a short drive to downtown Detroit or any of the big three headquarters.